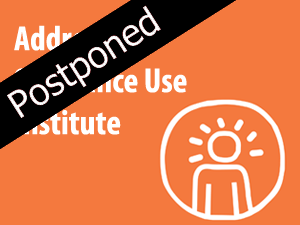 Please note the Addressing Substance Use Institute will be postponed until spring 2017. We will be offering the Addressing Substance Use Institute in an exciting a virtual format (via webinar series) tentatively scheduled for April-May 2017. Please email Grace Wong (gwong@RNAO.ca) for more information about this event.